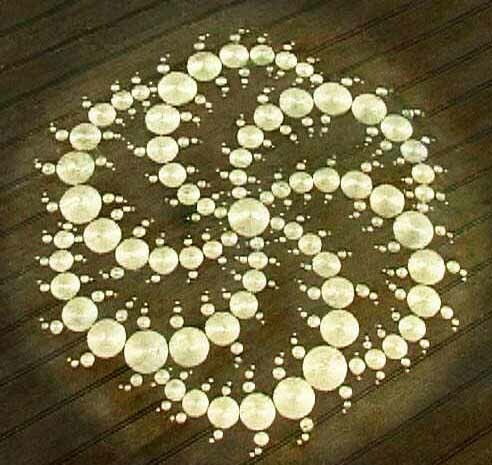 Crop circles have been a mystery to the world since the 1970’s. Although some people today will claim that they’re man-made, it’s been reported to be impossible to create the complexity of an average crop circle and while only bending the crops without causing them to break. Typically it’s found that radiation also exists at crop circle sites, adding to the mystery. One thing for sure is that a quick look at a few crop circles and you’re realize there seems to be some sort intelligent of a pattern hidden in their designs. Without ever hearing the phrase “sacred geometry” before, you may understand that there is a certain geometric code they all follow. 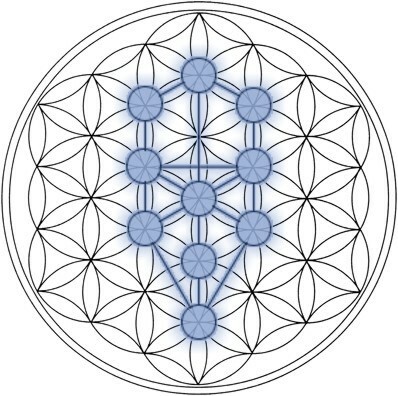 So what is sacred geometry exactly and how does that tie into free energy? Well sacred geometry is simply the visual representation of certain math equations that define everything that lives and grows within our universe. 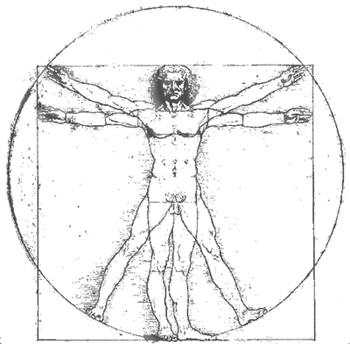 Ever see the painting of Leonardo’s Vitruvian Man? This code is what the great minds of Nikola Tesla and Viktor Schauberger understood. Besides them, Edward Leedskalnin, who built coral castle in Homestead, Florida also seemed to understand this code and was able to use it for levitation. (more on this here: anti-gravity machine) Since everything that exists in this world comes down to certain math equations, it’s clear to see that with the knowledge of understanding them, one would be able to harness the universe’s natural forces to their own benefit. Nikola Tesla also sometimes referred to free energy as the universe’s energy. He wasn't even entirely sure where the energy came from or why it worked, he just understood how to harness and manipulate it. However, an explanation does exist that clearly states where this “free energy” comes from. A simple question that most young children ask is actually able to explain free energy. Have you ever wonder before what causes lighting? Yes, school teaches us it comes from the clouds, more specifically storm clouds that carry a lot of water molecules making them dense. But is that it? How does this explain lighting that forms when there are no clouds present? By the way, that does happen a lot although mainstream science can’t explain this. 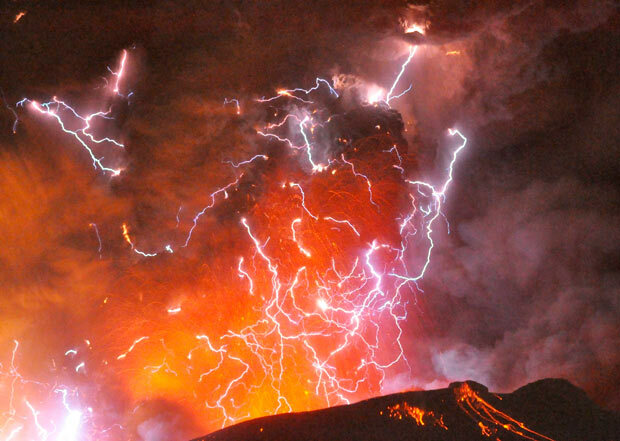 Or why does lighting occur when a volcano erupts? 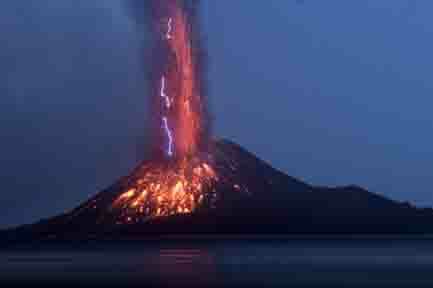 In case you have never seen lighting when a volcano erupted before (I sure haven’t since I don’t live close to any volcanoes) please refer to the images below. So what is the real cause of lighting you ask? Simple, think of it like this… heat = energy = electricity. That’s it. Now to clarify, lighting (which is a very power manifestation of energy/electricity) forms when a rush of hot air collides with cool air… the act of the rapid cooling of the air may create a direct discharge of the heat, i.e. lighting. So in order for a direct discharge to be able to manifest itself into electricity, that means the hot air must already contain some energy inherently in itself. That’s the best news, since our planet has an atmosphere and traps plenty of heat from the sun… this heat is actually stored kinetic energy, which gets translated into electricity. Most people don’t realize that certain elements are able to store more energy/electricity than others naturally. Mainstream science has yet to explain (or publicize for that matter) why copper inherently always has some stored electricity in it even if it’s not attached to anything. Tesla was able to amplify the electricity that was already there and build up more and more energy through his invention of the tesla coil. Later on he figured out that this energy exists everywhere which is what allowed him to remotely transport electricity without wires, but he didn't realize that it was because heat exists everywhere. Lucky for us absolute 0 degrees is somewhere far away in space, where there are no stars nearby to provide warmth. That means our planet has much more than enough energy stored within our atmosphere from heat that can power every electronic device for as long as mankind can survive. All we need to do is rebuild the machines that the ancient Egyptians, Tesla, and Schauberger have built. There are many people that are experimenting out of their garages today with this technology that are not going to receive any funding for their efforts anytime soon. If you’re aware of someone that is currently working on this and making any break-through, please contact me through email by clicking here. I would love to write about your story and try to connect you with other people working on the same effort. In my next article I will be talking about how close we are today building a free energy machine and what’s missing.